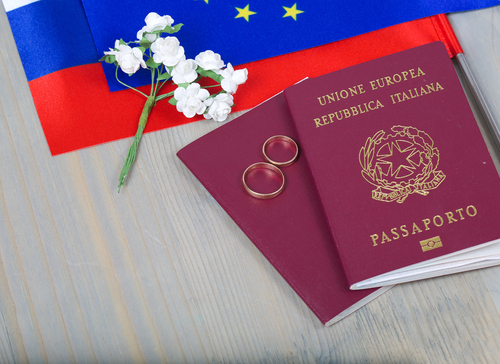 The United States is now reviewing the Visa Waiver Program for the European Union. The entire problem has been the porous borders of Europe created by Merkel’s unilateral decision to accept refugees which was NEVER put to a vote for all of Europe. Brussels has simply been dictated by Merkel. Then, she imposed her unilateral decision as mandatory upon the whole country of Europe. This has resulted in more than 20 terror attacks in France alone. European visitors to the US have had easier access to the country for years. Now, Home Secretary John Kelly has explained that a review is absolutely necessary as foreign fighters from the Islamic state return to Europe and try to travel to the US. Donald Trump had already announced this measure several weeks ago. Nevertheless, with the EU entrenched in its refugee crisis and evidence has surfaced that Merkel’s opening of the flood gates allowed terrorists to freely enter. If the USA wipes out the Islamic state in Iraq and Syria, this will only raise retaliation attempts against the USA. The threat of the terrorist groups worldwide using Europe to get into the USA as the mercenaries with European citizenship will cause a major diplomatic crisis. It is a concern that is equally shared behind the curtain by the European allies. A significant number of fighters have already been scheming ways to get into Europe and to make the trip to the USA under EU passports. This entire program is now coming under review. What Markel has done is seriously disrupting all of Europe and the protecting of one’s borders has been a major issue in Britain as well as France. Belgium, Spain, France, the UK, Austria, Italy and Germany, as well as foreign countries such as Australia, South Korea, Singapore, Chile and Japan are part of the visa exemption program. People from these countries are not exempted if they also have dual citizenship from Iraq, Iran, Syria and Sudan. Trump has already signed a decree making the issue of temporary visas more difficult for foreign professionals. There is no easy solution because the security of one nation can be undermined by one guard in another country that is bribed to allow someone to enter Europe. Unless every country undergoes its own review, security can be undermined rather easily. The “shoe bomber” used TATP back in 2001, as did terrorists in London both in 2005 and 2006. This was also the compound used in bombs detonated at the University of Oklahoma back in 2005 and Texas City in 2006. It was also used in the terrorist attacks in Paris and the Brussels airport. The 2015 Russian plane that blew up with just two pounds of explosives was also probably TATP. This incident raised serious new threats. The Metrojet attack introduced a key vulnerability of all airports: the risk not from passengers but from airport staff. If investigators are right and militants did use sympathetic ground staff to smuggle the bomb on board Metrojet Flight 9268, then that might not be just a Egyptian or Sharm el-Sheikh problem; it could be a global problem. The Somali bomb was an explosive device built into a laptop computer that detonated on a Somali passenger jet which was very “sophisticated” and got past X-ray machines at the Mogadishu airport. There were concerns that that too was an inside job. The major crisis that is brewing in travel remains that starting in 2018, the need for security may find a lot more restrictions upon travel.